It’s time for the next post in my “12 Days of Christmas Printables” series! Today I am sharing some fun practice pages to work on a concept that I get asked about again and again: addition and subtraction with regrouping. 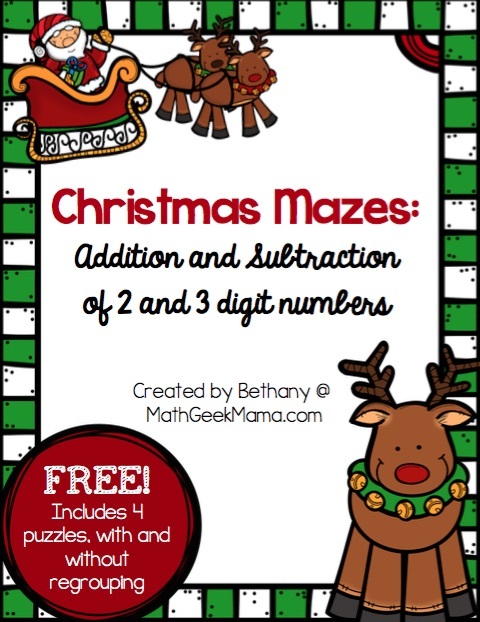 Hopefully if you are reviewing adding and subtracting large numbers before Christmas break, this set of maze challenges will be a fun change of pace! Read on to learn more about this fun “self-checking” activity. This is such a great feature because if she realizes that her answer is not in the maze or the riddle, she can work to correct it herself, without me having to point it out to her. I also like the maze idea because it makes it a little more fun for her. The challenge is not just answer these problems. 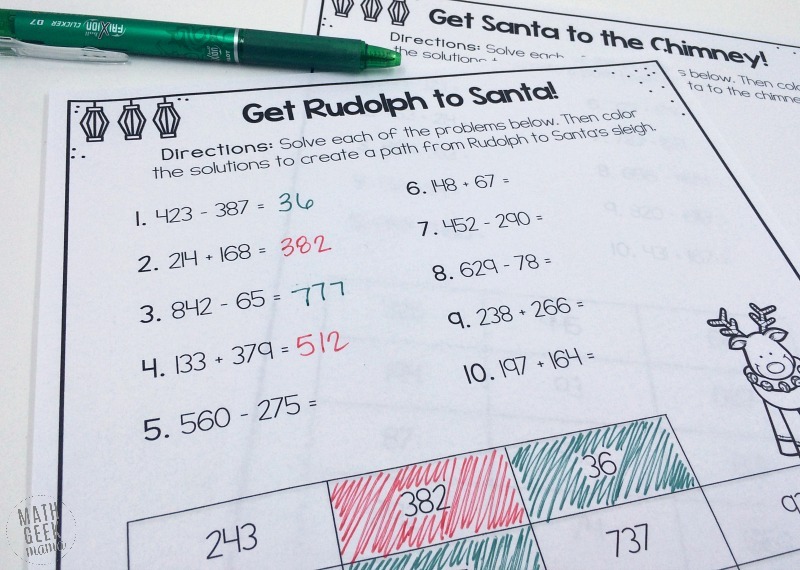 The challenge is: can you help Rudolph get to Santa? 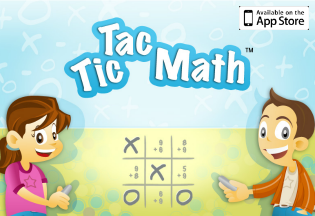 Included in this download are two pages of addition and subtraction problems that do not require regrouping. 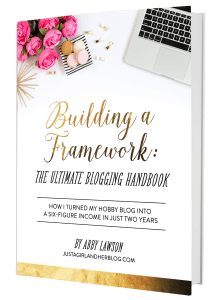 So if you are looking for a way to ease into the more challenging problems, or your kids haven’t worked on regrouping yet, there are some pages for you. Answer keys are also included for your convenience. 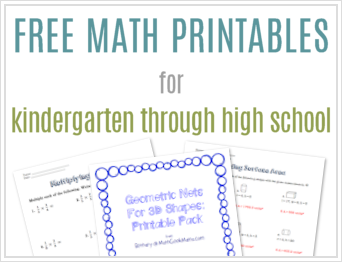 This download also includes two pages of addition and subtraction problems which do require regrouping. Answer keys are provided for these as well. To complete this challenge, simply find the solution to each addition and subtraction problem. Then, kids color the solution in the grid below. If their solution cannot be found in the grid, they know they got it wrong and should correct it. 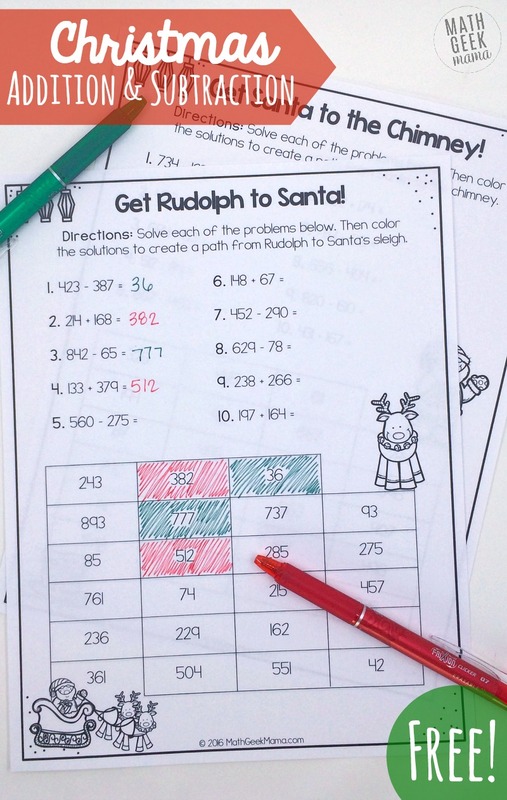 In the end, the colored solutions should form a path from Rudolph to Santa. Therefore, if it does not, they got a solution wrong and should recheck their answers. Hopefully this simple set of practice pages is a great way for you to review these skills this December. And if you’re looking for more, you may also like this Christmas Tree Farm game. This is another fun way to practice adding and subtracting large numbers and work on addition and subtraction with regrouping. Or if you would like a game that’s not Christmas themed, try this printable board game. 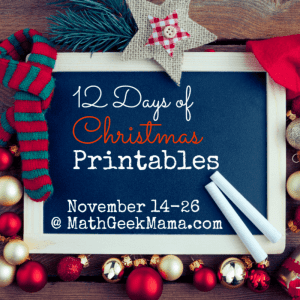 And of course, don’t miss the rest of this fun “12 Days of Christmas Printables” series, here at Math Geek Mama!